The relationship between large retailers and their suppliers is changing in ways that are hard to predict. One thing that isn’t so hard to predict is the need for these supply chain partners to collaborate more, and better, than they ever have before, particularly in the area of inventory optimization. According to a study by a research team at Auburn University, sponsored by Kane Is Able, unless both organizations articulate a workable plan, there is great potential for conflict, misalignment of supply chain priorities, and a failure to achieve key goals. The report, which surveyed 110 high level logistics executives at CPG companies, found that these manufacturers are struggling to adapt to retailers’ move toward lean inventories. Mid-sized companies are disproportionately affected by this retailer requirement, with nearly 50 percent citing this concern, compared with just 34 percent of large CPG companies surveyed. Inventory velocity – or rapid inventory replenishment – is another key concern among CPG companies. 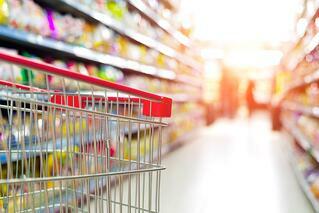 Together, these two primary retailer inventory strategies have huge repercussions for CPG manufacturers. They must hold more stock, make frequent deliveries, and replenish inventories in small lots. Smart CPG manufacturers are enacting internal processes to better align their operations with those of the retailers they serve in order to improve inventory optimization. The Report summarizes three strategies being deployed. So CPG manufacturers are sinking money into technology to meet retailer-required service levels with less inventory. By leveraging systems and gaining access to retailer demand data, CPGs are improving forecasting and planning capabilities. Retailers’ relentless drive for efficiency requires a continuous balancing act by CPG companies. They must provide sufficient service levels while efficiently complying with many retailer requirements. For tips, suggestions and examples from other CPG companies about how to successfully walk this tightrope, read the full report: Key Supply Chain Challenges of Mid-Sized CPG Companies.